Having confidence and playing soccer with confidence are not totally the same. Having confidence comes from the belief that you are good at something. Playing with confidence is “knowing” you can make the plays during the pressure of competition. Defender Carl Jenkinson was signed by the Arsenal in 2011 and made solid contributions to the team in first few seasons. While on loan at West Ham the past two seasons, Jenkinson really grew his game and confidence. With the increased playing time in the Premier League, Jenkinson was playing his most confident soccer of his career. Jenkinson suffered a knee injury during his last months with West Ham United. Jenkinson returned to the Arsenal in 2016 but has not been the same player due to his lack of “playing confidence”. Jenkinson made his first appearance in nine months during Arsenal’s EFL Cup win over Reading in October but he has been criticized by fans and media after a number of inconsistent performances. 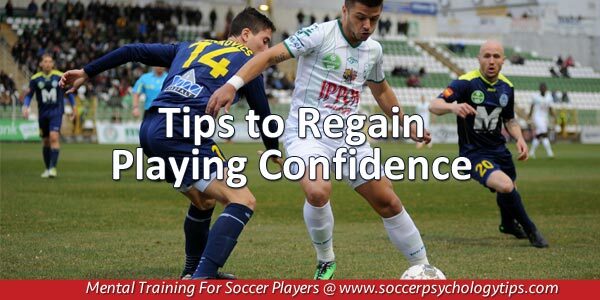 Remember: Playing with confidence is the belief you can make the plays during a competitive match and returning to the game following an injury can create tremendous doubts about your ability to play on the pitch. Doubt causes you to play tentatively, preventing you from making the plays you made in the past… This becomes a further hit to your confidence. Arsenal manager, Arsene Wenger, has acknowledged that Jenkinson has yet to regain his confidence and best form since returning to the Arsenal squad after his knee injury. However, Wenger has admitted that Jenkinson is not back fully mentally and competitively and believes it will take time for Jenkinson to play his best on a regular basis. After a lackluster game, your confidence takes a further hit and you enter the next game with less confidence in your ability to make plays under the pressure of game conditions. You are left searching for answers on how to regain confidence in your game. You reach a high level of play through a series of small incremental steps. You didn’t get there overnight! You had some sort of plan that you carried out to push your game to a higher level. Each step built confidence along the way. This same method can be utilized when returning from injury. You will need to work to get back to form and potentially better than before. Create a plan. Be patient and focus on the little steps on the way. Recall how you played with confidence prior to the injury. Visualize yourself playing with the same confidence today. If you can see it, you can achieve it. Soon you will see your “playing confidence” return and you will be able to make those plays on the pitch like you did before! Learn all of my secrets to gaining a competitive edge in soccer. 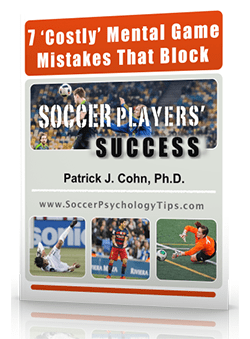 –How your soccer mind can be your best or worst asset on the field. –How frustration and dwelling are your worst enemy. 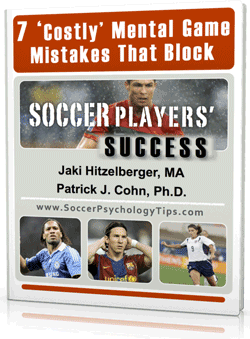 –If you are using your soccer mindset effectively before games. 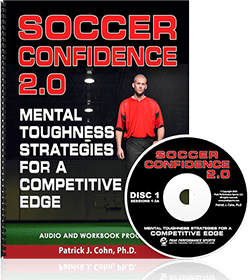 –Learn the important mental game of soccer skills you need to master to boost your confidence and performance.